Commentary for the entire Bible by hundreds of the most historically revered Christian scholars, pastors and teachers. 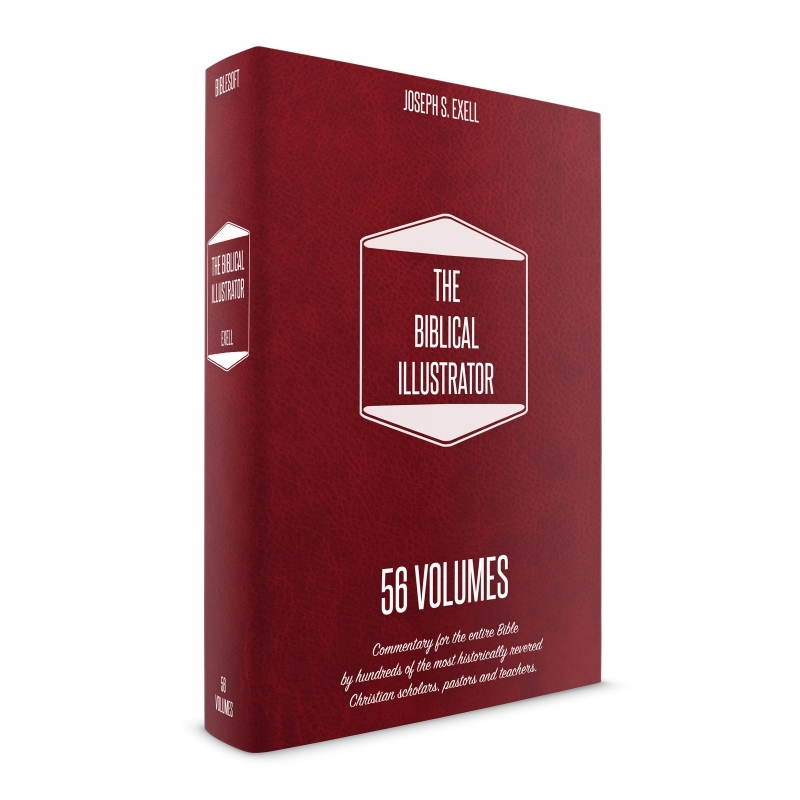 The Biblical Illustrator reads like a compilation of the “Best of…” from hundreds of Christendom's greatest authors and preachers! Commentary for the entire Bible by hundreds of the most historically revered Christian scholars, pastors and teachers. The meaning and implications of every verse in the Bible are fully discussed by such famous authors as C.H. Spurgeon, Matthew Henry, Augustine, Barnes, Owen, Moody, Lightfoot, Ryle, Hodges, Murray, Guthrie, Maclaren, Trapp, Donne, Plumptre, Alexander, Parker, and hundreds of other contributors. Thousands of volumes, from nearly every area of literature, were researched for illustrations and anecdotes to make up this collection. If you teach or preach, you'll love the passionate and poetic discourses throughout. These are not merely outlines or brief analyses, rather they are what the editor calls, “the concentrated essence of the great sermonizer's genius”. 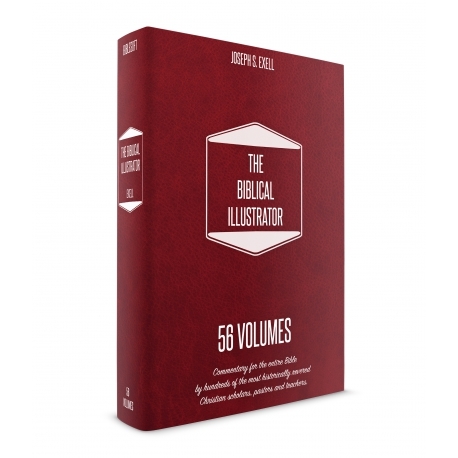 Although the Biblical Illustrator was originally intended for preachers and Sunday School teachers, the profound teaching found in this amazing resource benefits everyone. The unique combination of commentary, outlines and sermons gives you unparalleled opportunities for in-depth study of any verse or passage in the Bible. 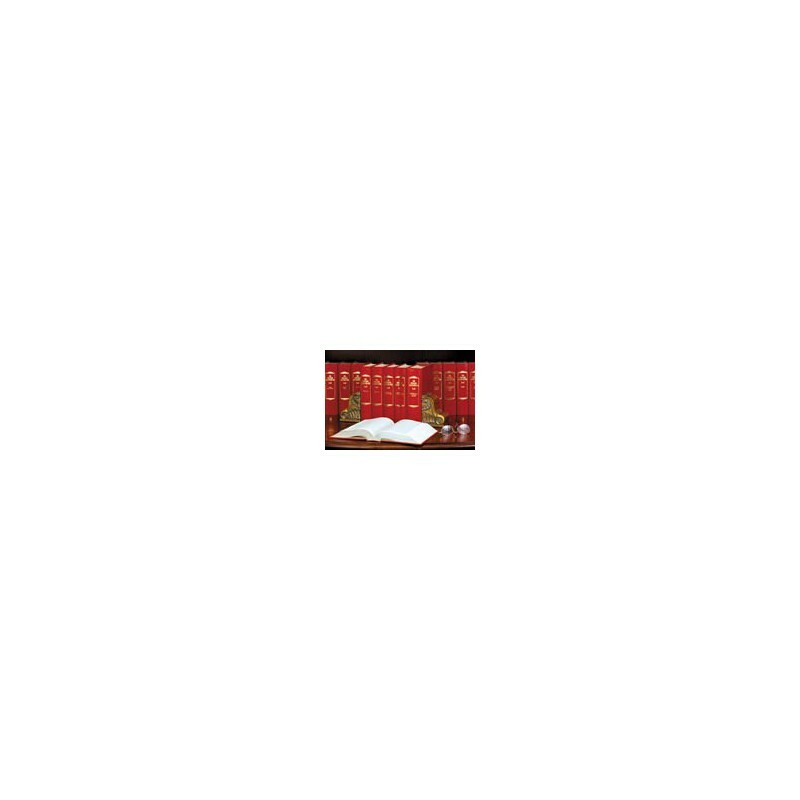 This powerful combination of information is sure to bring you insight for every part of the Bible and every part of your life, whether for personal devotion, use in teaching, or for sermon preparation. You will love learning not only what the Bible says, but what it means and how it applies to your life today.